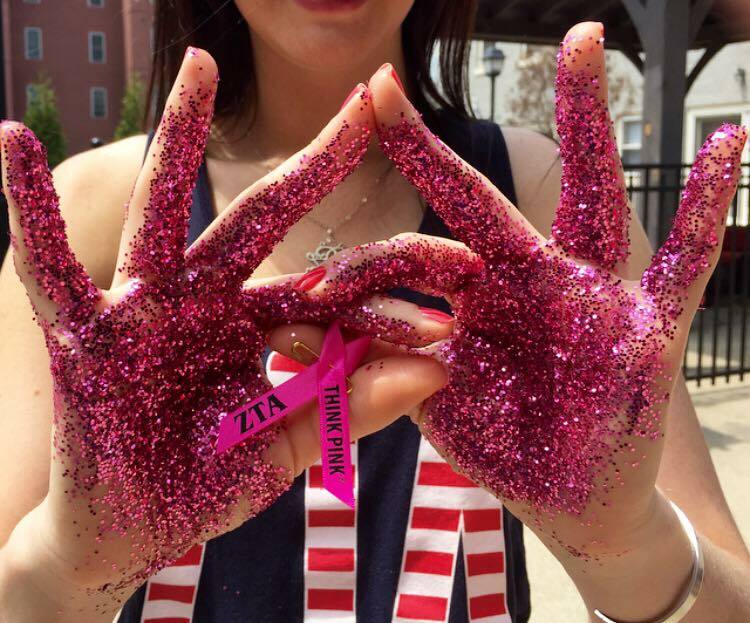 Zeta Tau Alpha's are passionate about their philanthropy, breast cancer education and awareness. Each fall, the chapter hosts a Think Pink Week during the month of October, as well as covering UofL's campus in pink! Sisters hand out flyers and pink ribbons, showing their dedication to our national philanthropy, breast cancer education and awareness. Every year, our chapter passes out ribbons at a Bengals and Colts game. The chapter also hosts a pink out game at the Louisville Cardinal Stadium. The football players, fans, cheerleaders, band, coaches, and cardinal bird all wear pink in support of Breast Cancer. ZTA has an annual Golf Scramble in the fall and an annual Trivia Night in the spring. Along with our annual events, ZTA also participates in several other philanthropic opportunities throughout the year. This past year, we volunteered at American Cancer Society's Making Strides Against Breast Cancer Walk, crafted wreaths to deliver to cancer patient's hospital rooms, had sisters visit at a local nursing home, donated clothes and various other items to send to pepople in need, and attended many other philanthropy events hosted by UofL's community.